When people are considering the importance of income protection, some people believe that they have already taken out an income protection policy with their mortgage. However, after taking a closer look, they actually have mortgage protection insurance and not income protection. It is inevitable that people can misunderstand what type of cover they have, what they may or may not be covered for, and who the benefit is designed to protect. This is due to the complexity of products such as income protection and mortgage protection insurance. Essentially, mortgage insurance is a protective measure the bank takes to reduce the risk of default. Mortgage protection insurance will pay you with monthly repayments if you are unable to pay the amount because of illness, injury or death. 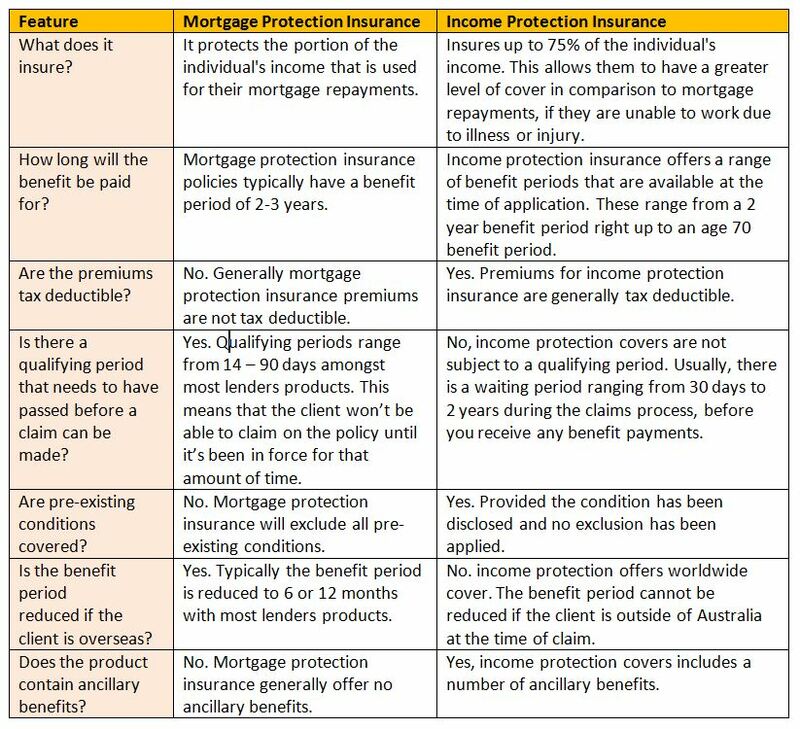 How does mortgage protection insurance differ to income protection insurance? In the unfortunate event that you need to make a claim on your policy, you will most likely find the range of expenses to be far greater than their mortgage repayments. These additional expenses render mortgage protection insurance inadequate. An income protection policy that replaces the large majority of your income should provide you with sufficient funds to meet your everyday living needs. Mortgage protection insurance provides you with basic cover that focuses on one particular expense and is often designed to protect the lender and not the borrower. It is not a substitute for a quality income protection insurance policy. Income protection insurance is about protecting more than just the mortgage repayments. Covering up to 75% of your income and allowing you to protect your lifestyle, if you are unable to work as a result of illness or injury.